Prep and serve on this Wisconsin bamboo cutting board, a multi-purpose board for the environmentally conscious. 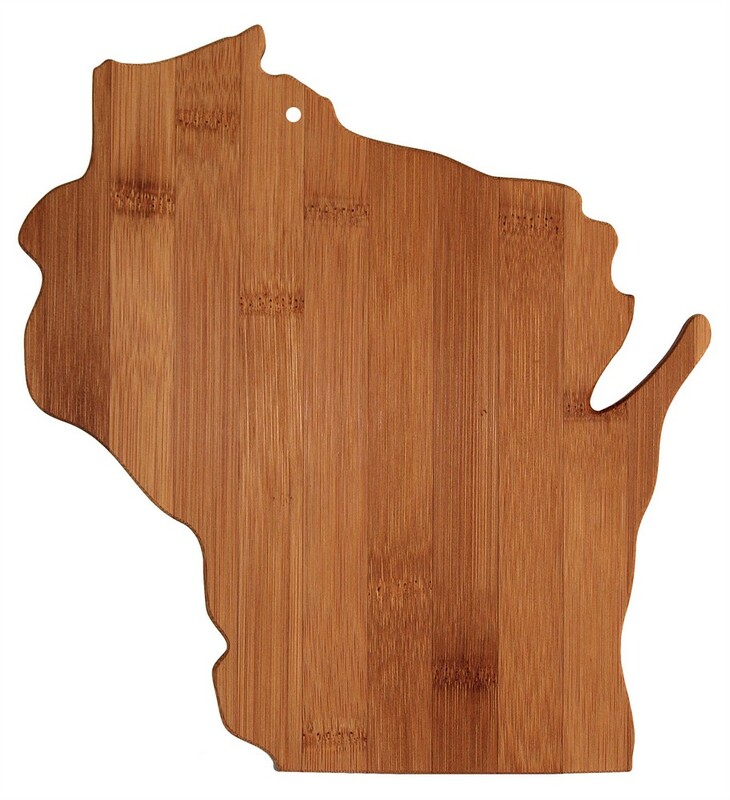 Let your brand become a household name across the world, with the Wisconsin Bamboo Cutting Board. It is made of Moso bamboo that absorbs very little moisture and consequently, does not shrink or swell as much, making it a superior choice of material for cutting boards. These boards can be used not only to chop vegetables, but also to serve snacks. They make ideal indoor and outdoor decoration and are a thoughtful gift for anyone loyal to their homeland. The board can be hung on the wall with a tie-string hanging loop. These state shaped cutting boards make great travel mementos that serve as a constant and pleasant reminder of the trip and of your company, for years to come. Hand wash the board with warm water; occasionally use mineral oil to extend its life and to keep it looking as good as new. Add your company’s logo on the cutting board to get the maximum return on investment from your marketing campaigns.